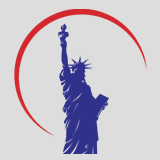 USCIS recently published the revised Form I-765, Application for Employment Authorization with a 02/13/15, edition date. You can download the revised form and details about who may file and where to file Form I-765 from the USCIS forms page. Non-citizens can face removal proceedings when the government has found that they have violated § 212 of the Immigration and Nationality Act (“INA”). This section outlines various categories of inadmissibility (committing crimes involving moral turpitude, aggravated felonies, drug offenses, etc.) that the government will use to remove a non-citizen from the United States. A Texas federal judge has denied the Obama administration's emergency motion to stay the ruling that blocked the president's executive action on immigration. Last week, a formative figure in the fight for immigration reform announced that he would not be seeking re-election. Senator Harry Reid has been at the forefront of the immigration reform movement and one of its champions. Senator Chuck Schumer, architect of the 2013 immigration reform bill, is poised to become the new minority leader. SACRAMENTO - As part of an ongoing effort to successfully implement Assembly Bill 60, the California Department of Motor Vehicles (DMV) today announced it is seeking public comment on several potential changes to future application processes, which could include adding foreign documents to the list to prove identity, and clarifying that residency documents must match the address listed on the license application.